We wanted to share with everyone that we are on the road to being matched with and adopting a sibling pair through the State of Wisconsin! We are about 80% of the way through the process of being a licensed home, with the last few steps being completed this coming week. From there we will get matched and begin the adoption process. We recognize that this is going to be a super wild ride full of challenging times and amazing times! Since we have begun telling our family and friends this exciting news, we have had questions about how we got here. So here’s our “road to adoption” story…..
Not to be repetitive, but Wes has cancer. And since his diagnosis we have spent quite a bit of time with the scientist folks in the Genetics department at both UW and GHC. We have learned that his cancer is genetic, and so on top of a devastating cancer diagnosis we were told that if we had more kids we had a 50% chance of passing the cancer gene on (and then the child would have a 98% chance of developing Retinoblastoma). And the same goes for Wes having kids, if he isn’t sterile from cancer treatment already. But, back to our current situation. I LOVED being pregnant. And the minute I was in the recovery room after my C-section after a long and difficult labor, I told Jake I wanted to do it all again. When we were told by Genetics this lovely little gem about having other kids, we explored all of our options. One option is to get pregnant naturally and then check the baby at 10 weeks and if it carries the gene we can terminate the pregnancy at that point or know that we are strapping that child with a heck of a cancer burden when it’s born. *Insert buzzer sound* Wrong answer for us. Next option is a donor pregnancy. Not quite how we pictured having another kid. Last option is to go through all of the fun of fertility treatment and then doctors pick the embryos that didn’t have the gene and implant them. Along with the risk of multiple births and the harm that fertility drugs can do to your body and personality? No thank you. And of course at the time doctors and friends suggested adoption. We were in no position to even think about adopting a child into this chaos at that point, but we did the cursory “yeah, maybe” answer. Fast forward to April of this year. It’s been a year since Wes was off chemo, a year and a half since his diagnosis, I have been back at work for a year, and Jake has been at his job for a year and a half. Wes and I are visiting my bestest friend Jenny and her family. Jenny has the arduous task of telling people involved in car accidents what the insurance will and will not pay for. I do not envy her for one second. She pours her heart and soul into that job and she works hard, pushing past what she even thinks she is capable of on most days. Driving home to her house from an event on that Sunday of our visit, she tells me a story. Jenny is handling a claim where she is researching a child support lien against the title of the car that she has determined is totaled. While she is on hold with the State, she jumps on their website and pokes around to see if she can get the info quicker than being on hold forever. She stumbles upon a page that shows kids available for adoption in the State of Indiana. A picture and bio of the most adorable 4 and 7 year old brother and sister catch her eye. It has been weeks since she saw this bio at the time she is telling me this story, that’s how much these kids stood out to her. Later that evening we are all sitting around watching television and Jenny pulls up the kids’ bio and picture on her ipad. Oh geez, there is a video too. Seriously, the most adorable kids. And the little boy wears glasses! Ay yay yay. I head home Monday morning, and in the 6 hour car ride, all I can think about is those kids. I picture them in the backseat of my car, at our dining room table, on walks. That night I talked to Jake over dinner and shared all of this with him. I asked him to just let it sit. Let it sit right there in his gut, in his heart, and just think on it. Over the rest of the week we talked about it a lot – what would our family think, what would Wes think, could we afford it, did we want to change our lives because things were pretty good as they were, could we provide for more kids for the rest of their lives including a college education, how would adoption through another state work, did we want to foster instead of adopt. By Thursday night we had made a decision. On Friday I called the State of Indiana and left a message asking what the process would be to adopt kids in Indiana from Wisconsin. I never did hear back from them, but on Monday when I was looking up the number to try them again I saw that those two adorable kids had been removed from the website – they had been adopted! That is wonderful and amazing news for them. I found the website for the appropriate department for the State of Wisconsin and devoured any information I could. I signed Jake and I up for an orientation meeting, and we began our journey. Many thoughtful questionnaires, piles of paperwork, home visits, interviews, references, and training hours later….here we are. We hope to have the process to get licensed completed by this Saturday. The next step then is our social worker will send us bios of kids that fit the basic profile of what we are looking for (a sibling pair between the ages of 3 and 9), and we will all work together to ensure that we are a good match for each other. There will be pre-placement meetings and time to get to know each other, and at least 6 months of time where the kids will be technically foster kids in our home (this is required by law). There are lots of other details in there, and we are happy to share them with anyone who is interested, just ask. That is the crux of it though. In our training yesterday, an idea was shared that really struck home with us – in the adoption process, in order for your family to grow another family must end. 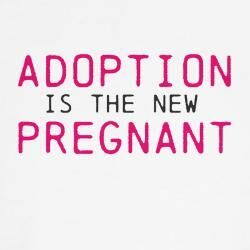 Additionally for us, while we are excited to grow our family through adoption, I still cry occasionally thinking about never being pregnant again. So while we will celebrate our family growing, we will also mourn for all the reasons that bring these kids to our family. One does not negate the other – we can do both. Content aside, your writing skills are exemplary – A+ ! You are so articulate and eloquent – you write like you speak which makes the substance all the more appealing – very good job! What you and Jake are contemplating brings tears to my heart with joy. I can only imagine the conversations you two very special people have had and those to come, never mind your individual thinking. As a Court Appointed Special Advocate for Children in Montana, I am all too familiar with the adoption and foster parent processes; Wisconsin and Montana probably aren’t that different – everything that has to be done is intentionally challenging and very demanding. Opening your hearts and home to someone else’s offspring is never done lightly or easily, nor should it be so more power to you for seeing it through to this point. I (and probably everyone else on your support team) will keep you all in my prayers and thoughts as you go through the months ahead.